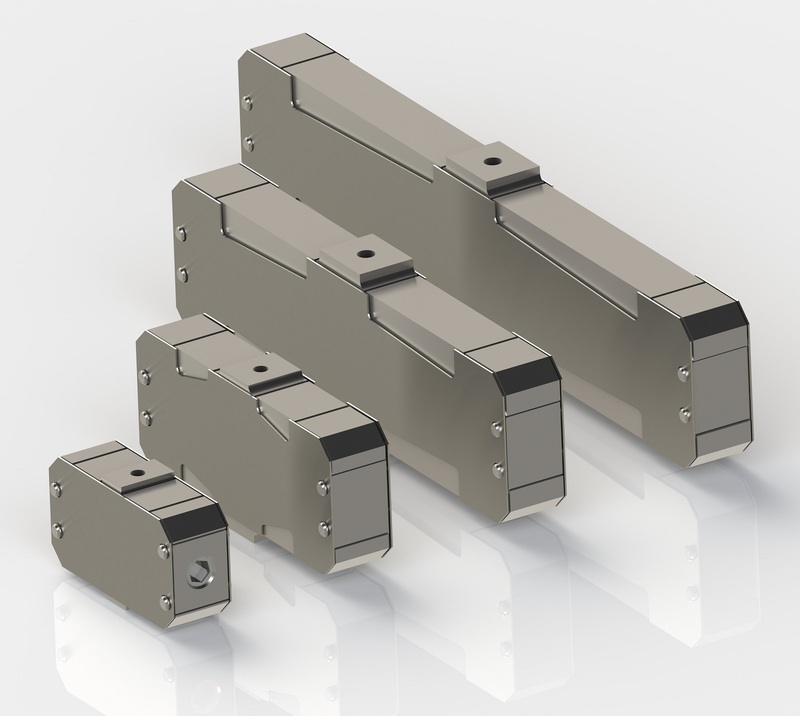 The double-levers DPO and DPS are driven by our superior MPO piezo-actuators. The large strain of these stacks is allowing for more compact shapes at the same displacements. The guidances and joints are made of electro-eroded flexures, which are avoiding friction, wear and micro-cracks. The life-times are in the order of 10 billion full-stroke cycles. The connection wires are not being moved, when the actuators are driven. The versions DPS are equipped with strain-gage (SGS) full-bridges. These sensors guarantee temperature-compensated measuring and controlling of motion.